Tribology is the science of rubbing surfaces and contributes to every facet of our everyday life, from live cell friction to engine lubrication and seismology. As such tribology is truly multidisciplinary and this extraordinary breadth of scientific interest is reflected in the scope of Tribology International. 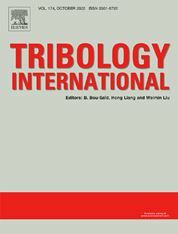 Tribology International seeks to publish original research papers of the highest scientific quality to provide an archival resource for scientists from all backgrounds. Written contributions are invited reporting experimental and modelling studies both in established areas of tribology and emerging fields. Scientific topics include the physics or chemistry of tribo-surfaces, bio-tribology, surface engineering and materials, contact mechanics, nano-tribology, lubricants and hydrodynamic lubrication.